Maybe “rustic” inspires sweeping views and large open-floor plans with furniture large enough to fill this space with its texture and visual weight. Today’s pieces were designed on a smaller scale, for an apartment or townhouse. 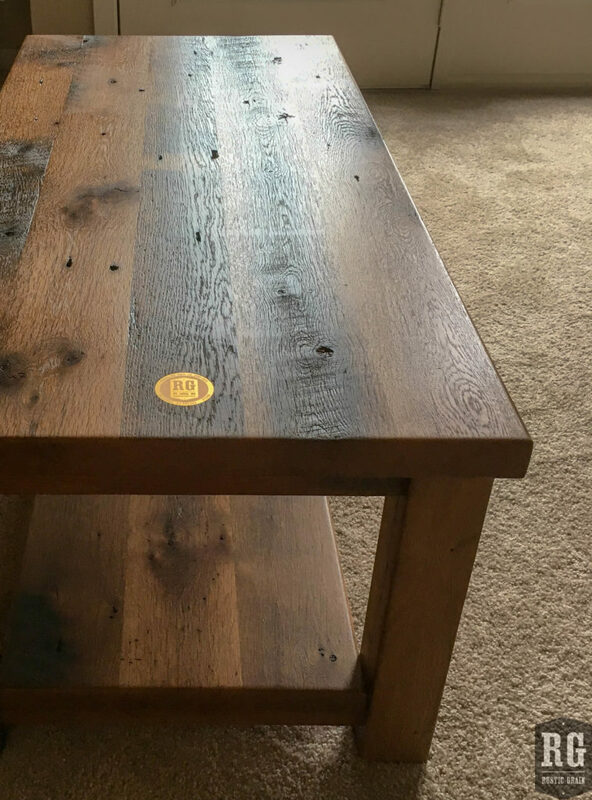 First up a classic coffee table. 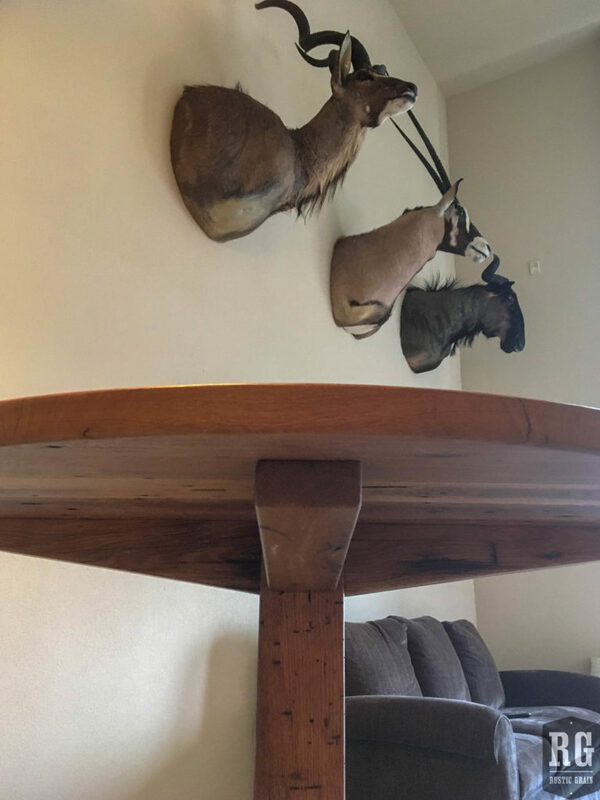 At 48″ long, 22″ wide, this piece fits the space it has without taking up more. Its reclaimed oak plank top and shelf base provide lots of storage and room for putting up feet. 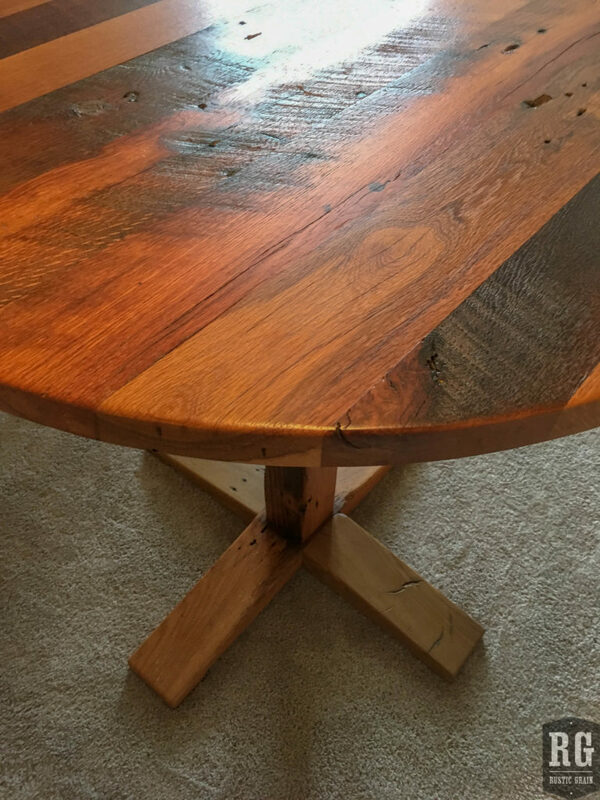 But those knots and mill marks remind you that while this piece helps you relax, this wood has been working hard for decades supporting its owners. 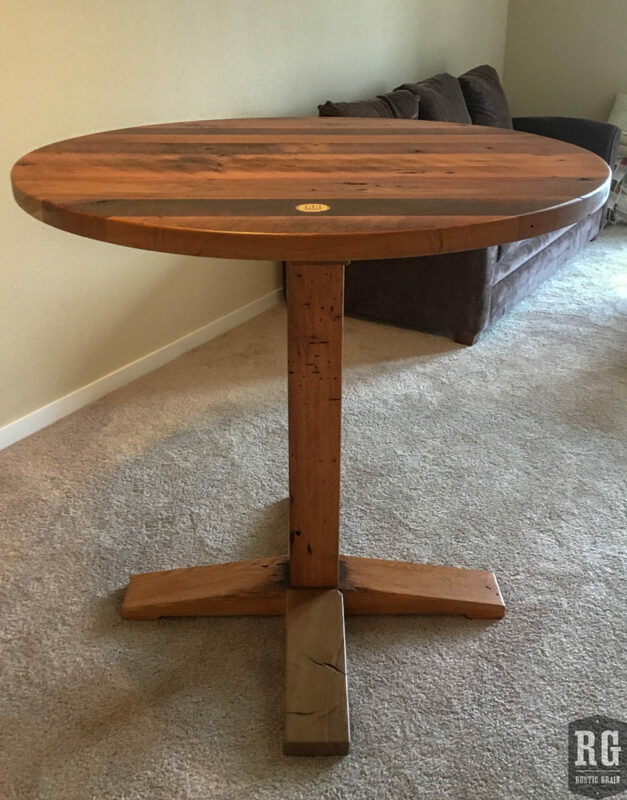 Want to see the barn this table came from? Check out the Vienna Barn here. 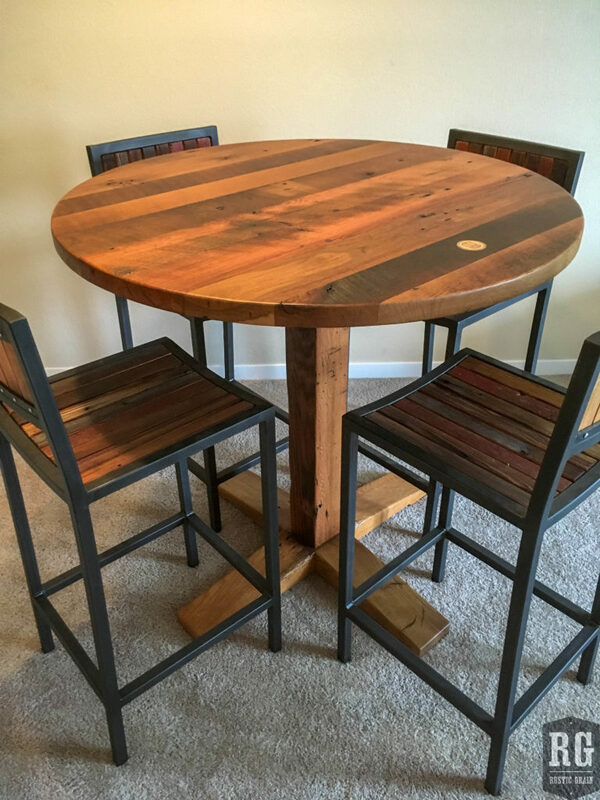 Next up is a high-top table also of reclaimed oak with a set of our O’Fallon chairs. At 42″ tall and 42″ wide, this style provides lots of seating without taking up a lot of space. Its perfect for 1 or 2 people on any given day, but can accommodate more when called upon. 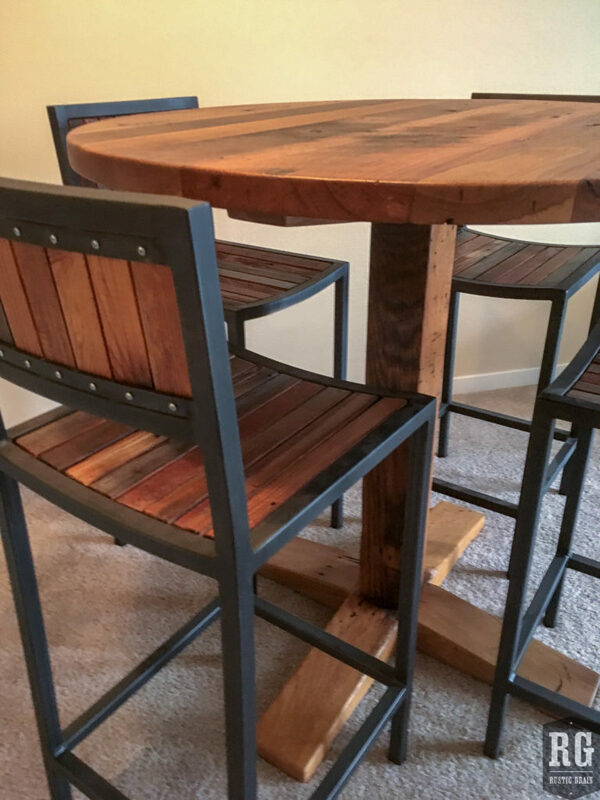 The custom-made, bar-height chairs also feature reclaimed oak set into a welded melt frame. Hop up for a quick meal or stay longer to work or play. 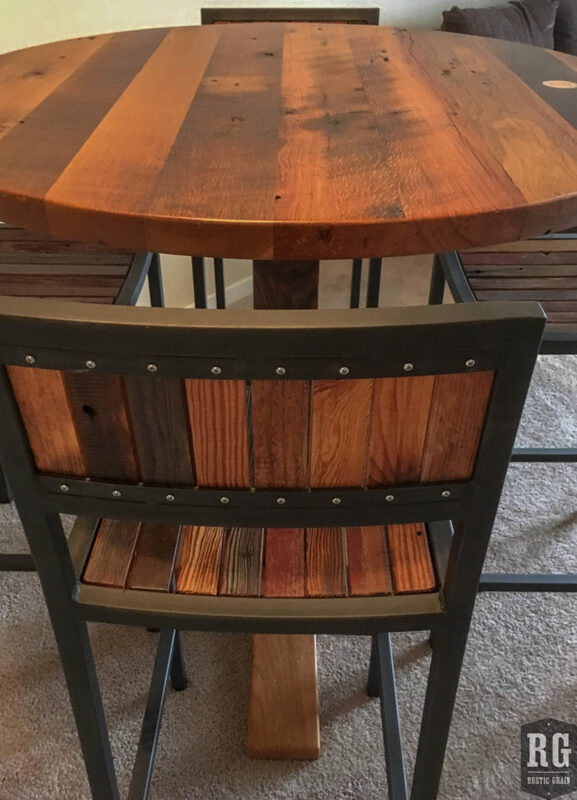 These chairs are made to last with a touch of Rustic Grain style. And that’s the heart of our building philosophy. We make pieces that fit your life, will last for a lifetime (and more! ), and bring people together to retell old stories and make new ones. 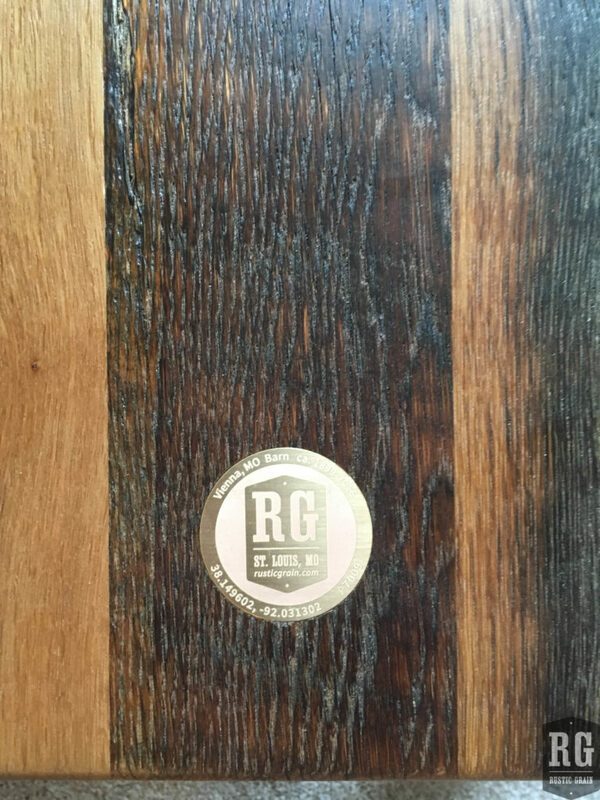 What stories will you tell at a Rustic Grain table? Fill out our contact form and find out!